A bookkeeping solution that takes the boring part of your business admin away from you and makes it fun? In the not too distant past business owners would slave over manual “books” and spend many hours making sure the “books” balanced, reconciling the bank and trying to agree who owed them money and who they owed money to. Those were the days! Then in 1979 came the dawn of the electronic spreadsheet with VisiCalc and in 1985 the ever popular Excel became the “go to” tool for business owners to manage their accounts. In the mid-eighties accounting software started to become affordable for small businesses, with Sage cornering the market for desk based software. Accounting software revolutionised bookkeeping for small and medium sized businesses. However, a good understanding of bookkeeping and accounting terminology was still needed to ensure that the software worked well for the business owner. At 1 Accounts we have taken book-keeping one step further. All of our bookkeeping clients use Receipt Bank in conjunction with their cloud based accounting software. Using the Receipt Bank application our clients simply photograph their receipts using their smart phones or email the receipt to a special email address. The 1 Accounts team do the rest, keeping you completely up-to-date. The bank feeds, that are direct feeds (available from the majority of the high street banks), populate every morning. 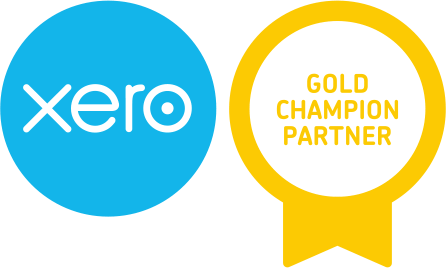 We suggest that you raise your own sales invoices from within Xero or invoicing solution so that you are in control of the sales process. Apart from managing supplier payments everything else to do with your accounts and book-keeping is handled by 1 Accounts. In the future it is anticipated that payments to suppliers will be dealt with directly from the software. We can even set up systems to chase your money owed from your late paying customers. Technology is being used to save time, and, of course, time equals money. The use of Receipt Bank to record transactions ensures a higher degree of accuracy. As a business owner you are fulfilling your legal obligations and mitigating the risk of incurring any issues with the Tax Man! You will be surprised at the fee for this comprehensive and reliable bookkeeping service compared to employing your own bookkeeper. Plus we don’t take time off! It’s time to take back control & save time.